Stockholm (AINA) — Turkey’s permission to allow the Syrian Orthodox community to build a church in Istanbul after 90 years of the republican period did make a great splash in the Turkish press recently. At first glance, this decision is seen as a positive signal by everyone. But upon closer inspection the matter looks quite ugly and filled with mischief. For many years, Orthodox Assyrians (Turkish Süryani Kadim) living in Istanbul were using other Christian communities’ churches to hold their holy sermons. The only existing church in Tarlabasi could understandably not accommodate the need of 17,000 people living in the city. In recent years the Assyrians asked the authorities to assign them a vacant lot to build a church in order to service the parishioners. Turkish authorities finally offered a lot of land to the administration of the Syrian Orthodox Church in Istanbul. However, it became clear that this land was seized by the government from the Latin Catholic church in 1950 and is an old cemetery. The Latin Catholic church is in a legal battle with the government to acquire its land. The injustice done in 1950 to the Latin Catholic church is repeated again today against the Monastery of St. Gabriel (full coverage) in Tur Abdin, in southeasten of Turkey. Obviously, the high institutions of the Turkish state, regardless of domestic laws and signed international treaties, do not hesitate to confiscate minority properties based on political expediency. 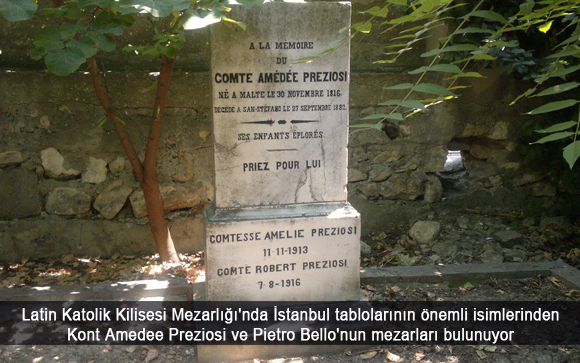 The Turkish authorities are trying to offer the usurped cemetery of the Latin Catholic church to the Assyrians in Istanbul as if it is state property. While the administration of the Syrian Orthodox church expressed demonstrated some reservation about this ugly game of the government, Assyrian intellectuals in Istanbul and Europe voiced strong criticism. Sait Susin, the chairman of the Syrian Orthodox Foundation in Istanbul, stated in a recent interview with ACSA TV that the Latin Catholics are aware of the land issue and that everything will be done with their consent. However Nail Karatas, the Latin Catholic Church’s lawyer, in a follow up ACSA TV interview disagreed with Sait Susin. Karatas said that they are against a transfer of the stolen cemetery lot to the Syrian Orthodox Church or to someone else and indicated that the case will be handed to the judiciary. Intellectuals within the community accuse the administration of the Syrian Orthodox Church in Istanbul of demonstrating an unethical approach to the subject, inconsistent with the righteous cause of St. Gabriel, and would ultimately hurt it. It remains to be seen how this action of the Turkish Republic, which brings the Latin Catholic Church in opposition to the Syrian Orthodox Church, will play out. Translated from Turkish by AINA.